Good morning! It is Small Success Thursday once again over at CatholicMom.com. Come on over and share this week’s successes with us so we can cheer each other on. I count the fact that I got out of bed at 6am this morning to pray Lauds and write as a big success. Our daughter will not stay in her bed all night, so my husband and I have not had a full night of sleep in a couple of months. No matter how many times we move her, she always comes back into our room. I can barely remember picking her up to put her in the bed. Speaking of my daughter, she is now showing little interest in TV and wants to play more. She prefers music, to the TV. This is a wonderful shift. She loves music and dances around the house. She asks me to dance with her multiple times a day. It is a good workout for me too! She continues to amaze me on a daily basis. So that is a small success for Michaela! 1. A couple of weeks ago my husband and I dropped close to $100 (a big deal for us) buying containers to organize our daughter’s room. After Christmas her room looked like it had exploded. I went through her toys and separated them by genre and then stowed them in a chest in her room. This week I have managed to teach her to bring out one tote at a time to play with. We got rid of our living room coffee table, so she can play on the floor. After she is done with a tote, she cleans it up and we put it back in her room. Both my living room and her bedroom have managed to stay neat all week. Yay for organization! 2. I got all of my CatholicMom Gospel Reflections for the next six months written and sent off to the editors. This is a great accomplishment given how busy things have been. Gospel Reflections are not something that I can write while my toddler is climbing all over me. My husband watched her and I went to the library to write for a few hours. It’s my first time writing reflections on the Gospels, so be gentle when you read them. It was a little out of my comfort zone at first, but isn’t that where God calls us to go?! 3. I have decided to do my first book giveaway on my blog. This is your first chance to enter. When a good book is given away, it is a success in my book. See what I did there. 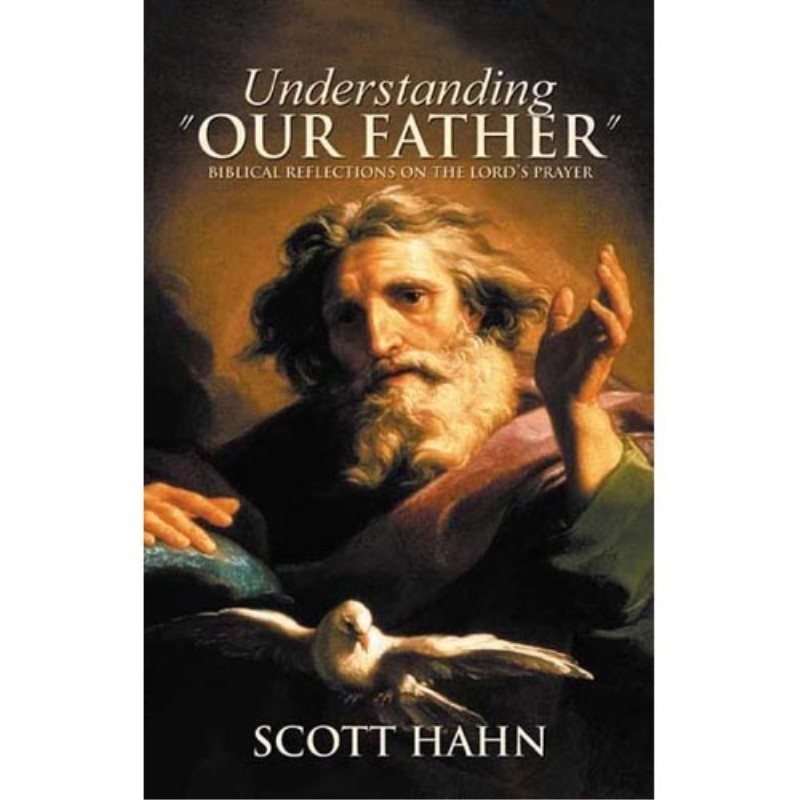 I have a brand new, shiny copy of Dr. Scott Hahn’s, Understanding “Our Father”: Biblical Reflections on the Lord’s Prayer, to give away. This is my own personal copy that I want to share with you. Dr. Hahn and his publishers have never heard of me, so this is a private giveaway. All you need to do is Like Holiness in Motherhood on Facebook and @holinessnmthrhd on Twitter. Then write a comment below listing your favorite spiritual autobiography or theology book. If you wrote about your small success include a link to the post with your favorite book. Then, presto! You are entered. I will announce a winner by 12pm EST on Wednesday, January 22, 2014. Sure it counts! Fulton Sheen was brilliant and his words are so timely. I’m reading Chesterton’s autobiography and enjoying it a great deal. It sounds like your week was full of beautiful luminous moments. Having just found your blog, I look forward to reading more of your work. My favorite is what I am reading now…Introduction to the Devout Life! That book sounds really interesting. I will have to check it out! Sounds like your week has been fantastic! Dr. Sri is wonderful to read!